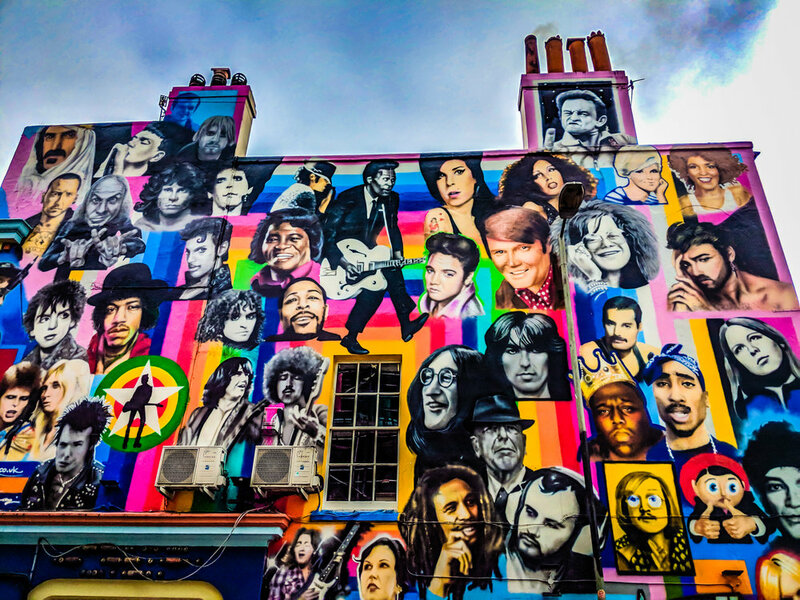 This is the remarkable Prince Albert mural in Brighton. The Prince Albert is an iconic pub by the train station and was originally know for it's Banksy "Kissing Police" mural but now it also has this amazing wall of deceased icons. How many on there do you think you can name?